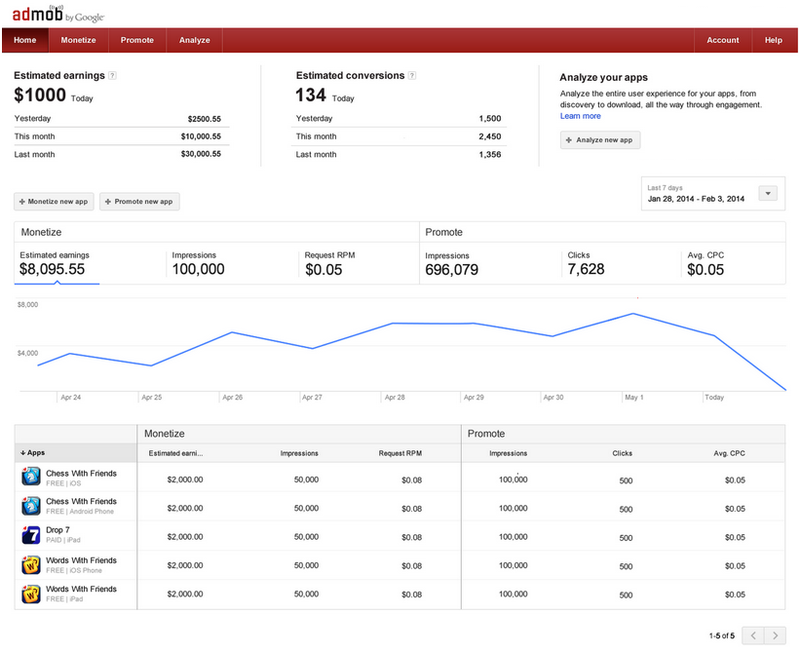 in San Francisco we will be announcing two key launches powered by Google Analytics and Google Tag Manager. You can follow the livestream today at 10:00AM PDT (5:00PM UTC) with the Google Analytics sessions from 2:30PM PDT. 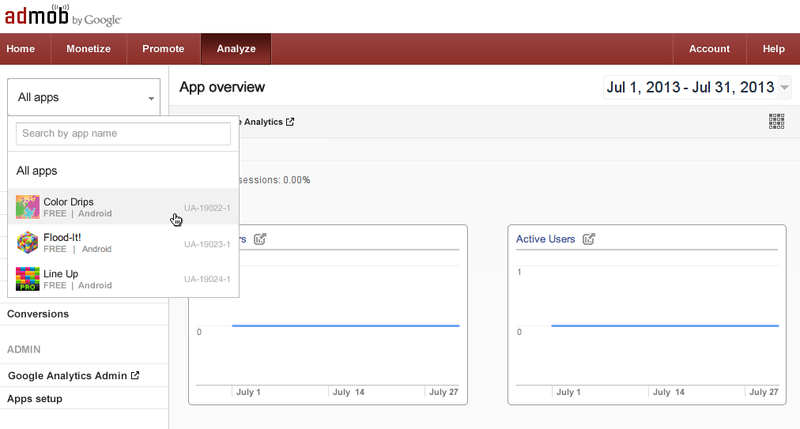 We’re happy to announce that Google Analytics is fully available in the AdMob interface on a new Analyze tab. App developers now have a one-stop way to measure success and adjust their earning strategies based on what they learn. Today’s app developers have to make decisions quickly and implement them seamlessly if they want to stay relevant. It also helps if every business decision is backed up and validated by reliable data. Until now, app developers using AdMob and Google Analytics had to use two separate tools to monetize and measure. Starting today, they’re now in one place. To see the new feature in action, sign in to your AdMob account and look for the Analyze tab at the top of the page. Your new home tab in AdMob will now incorporate data on how your app is monetizing as well as how it is performing overall with insights on in app purchase, traffic and ads metrics in your app: all in one tab - a unique feature just in Admob. People have a lot of choice when it comes to apps and keeping them engaged is a challenge. Businesses who experiment with different app layouts have a higher chance to find the best performing solution and keep users engaged. A few months ago we announced Google Tag Manager for apps, today we are enabling content experiments: an easy way to set up and run experiments to change anything from in-app promotions to menu layout. With Google Tag Manager you can modify app configuration for existing users without having to ship a new version. But how can we always be sure that we are changing it for the best? Wouldn’t it better if you could validate business decisions with data? Now you can run content experiments on a subset of your users to choose the best option - where to show promotions? How often? Data in Google Analytics will answer your questions and you can now be sure your decisions will be backed by data. Google Tag Manager has been built to be very intuitive, even for people not familiar with coding. 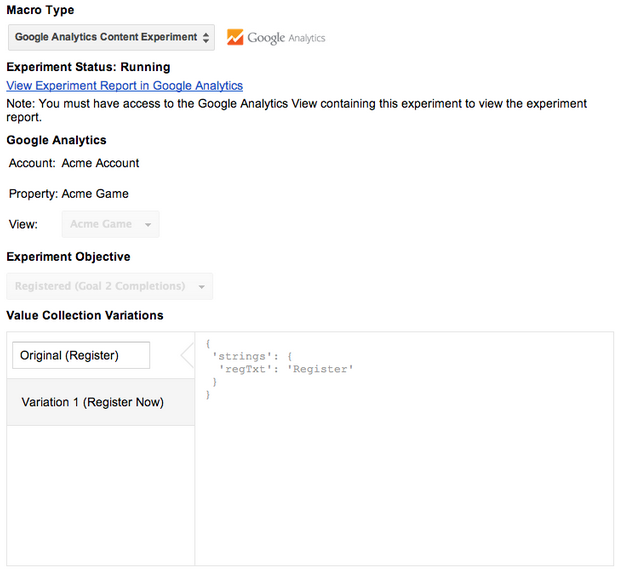 Businesses can now let their marketers or business analysts run experiments without requiring a developer to be involved. App experiments are now accessible to everyone. Download the SDK for either Android or iOS. Start programming! Use the SDK to instrument configuration and events you care about in your app. When you’re ready to dynamically change your app, use the Google Tag Manager interface to start configuring. Remember to press the “Publish” button to push your rules and configurations to your users. Today at the Game Developers Conference in San Francisco we will be announcing two key launches powered by Google Analytics and Google Tag Manager. You can follow the livestream today at 10:00AM PDT (5:00PM UTC) with the Google Analytics sessions from 2:30PM PDT.